Technology commercialization is a rewarding process for universities, researchers, students, the business community, the public, and the professionals who make it all happen. Technology transfer brings new products, services, and jobs. But it is a complex process, one that requires sustained dedication at every level. Despite the promises of successful technology transfer programs, when communities and their universities try to start new technology transfer programs or to accelerate existing ones, the road can be rocky. Unrealistic expectations are a major cause of failure and frustration. Universities often expect their programs not only to bring in industrial sponsorship for research but to provide royalty income and entrepreneurial spinouts that will support the entire university. 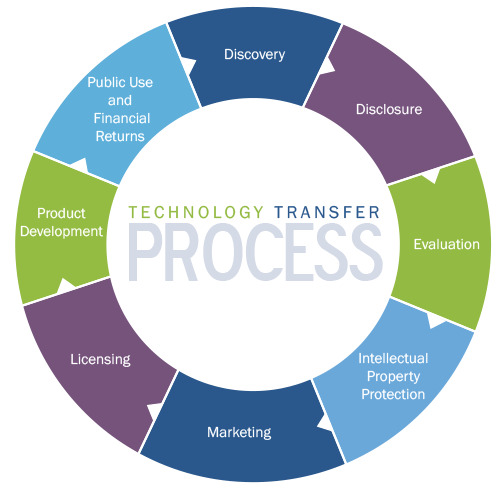 Blacklin Associates is well versed in the process of true technology commercialization, and offers advice on all aspects of the commercialization process throughout the many phases of development. Technology commercialization is a talent-based business. It is difficult to find people who can speak the two languages of academia and industry and who also have the creativity to craft agreements that meet the needs of both sides. One should not underestimate the combination and level of skills required. These skills and experiences are very different from those needed to conduct research. Since all the information about research is publicly available, why don’t corporations simply research these resources and then engage them? The answer lies in how corporations absorb research and the inflexibility of corporations to digest anything which does already fit their “use models”. For example, should a corporate manager find a research source which operates in a field of their interest, unless he finds an exact fit with an existing internal product development priority, he will not likely be able to pursue it. This is because as a corporate internal employee, he is considered to be very expensive, and therefore all his actions are measured against very specific performance metrics. Accordingly, his scope of engagement is very limited. Unless he can deliver a number, he cannot spend time pursuing a lead which requires development. This limitation haunts corporations in all areas of development, not just research development, but business development in general. Ironically, this very tendency to measure all performance around internal “heads” does not apply to external contractors. It is much easier for a corporate manager to contract out for services than to hire someone internally to do this. Corporations are quite good at articulating their goals and objectives, including in the field of R&D. Unfortunately for them, the world does not serve up solutions precisely fitted to these articulated needs. Accordingly, the process of translating promising external potential into a usable corporate input is in most cases outsourced. This can take the form of data searches (as a first-phase service), but usually corporations prefer a service which transforms these data into the action categories which they can address and scale. Blacklin Associates are professionals with direct technology commercialization experience in the United States and abroad. Their experience with the EUREKA program with the American Councils and Russia, reflects their successful execution of a sustainable model that can be replicated with their team and “triple helix” approach. Many have advocated this approach, fewer have implemented it. The real potential (and commercial value) is to create a multilateral “platform”, a market if you will, to bring together the world’s leading universities, their respective local governments, and businesses large and small. This is a specialty of Blacklin Associates.